Valentine's Day is just around the corner. I thought that I would share The 5 Best Valentine's Day Gift Ideas for Moms with Young Children because moms deserve special treatment on Valentine's Day! Moms with young children are in a phase of life where they need a stylish and oversized tote. We love the Around Town Tote from Thirty-One Gifts because it is functional and gorgeous. I personally have this bag in Black Beauty Pebble, but it is also available in other colors. This bag is versatile. It's great for a professional look at the office or a stylish look around town with your family. Let me share a few examples. 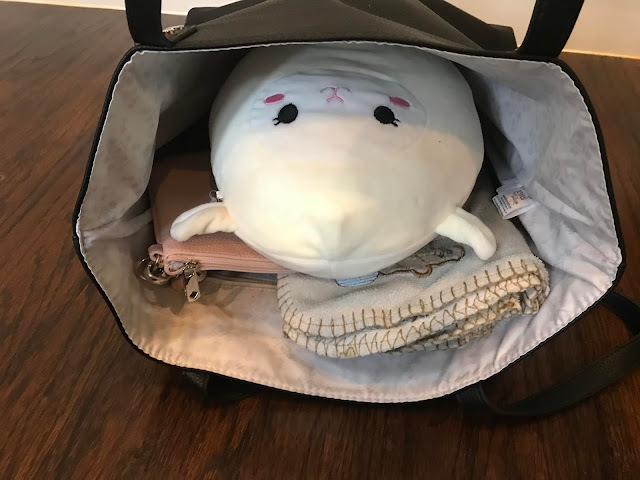 Here is a peek into my bag for work. 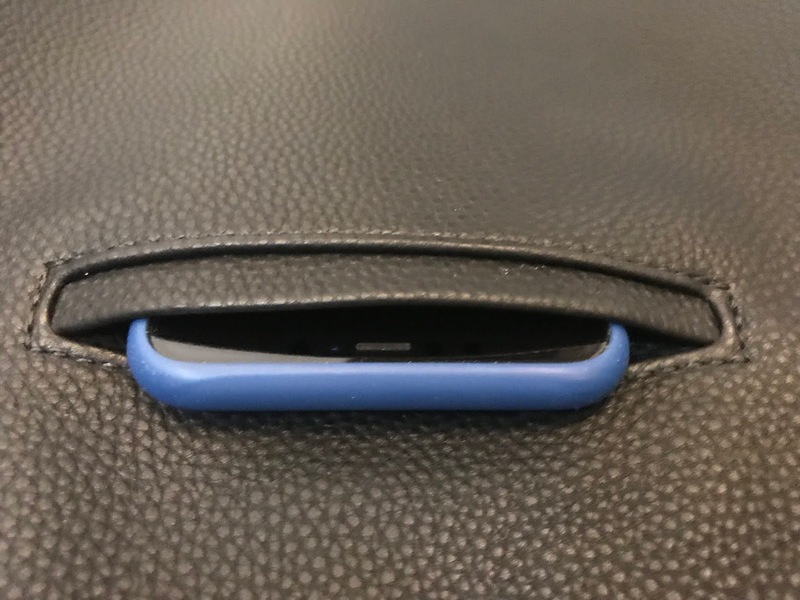 I use it to tote my Macbook Pro, wallet, scarf, and umbrella. (I place my wallet in the interior zip pocket which helps me to stay organized.) You'll notice that this bag is generously sized. Here is a peek into my bag for a day out with my children. The tote holds my wallet, a pouch, extra diapers, baby wipes, baby food pouches, a baby blanket, and a "very loved" little lamb stuffed animal. I also love that this tote has a nice cell phone pouch on the outside so that I rarely miss calls. I know exactly where my phone is when it rings and have quick access to it. The designers of this tote deserve accolades for this trendy design that is versatile for work, travel, and errands out with children. The Tidying Up show on Netflix has made it popular to declutter your home. Of course, handmade Valentines from your children are something to treasure, but they also take space, especially if you have multiple children. If you have a box filled with old Valentines, ask your family to scan the Valentines and to create a digital repository to store them. This will give you easy access to those precious memories while also saving space in your home. Many moms will tell you that they carry a lot in their purse and that it's easy to lose things. I recently saw a post about the eco-system of a mom's purse where they compared it to the layers of the Earth's crust. There was a layer of fossilized mints, calcified cookie crumbs, fossils such as lost car keys, and layers of old receipts. That hit a little too close to home for me because my purse often seems to be a storage unit for my entire family to use. 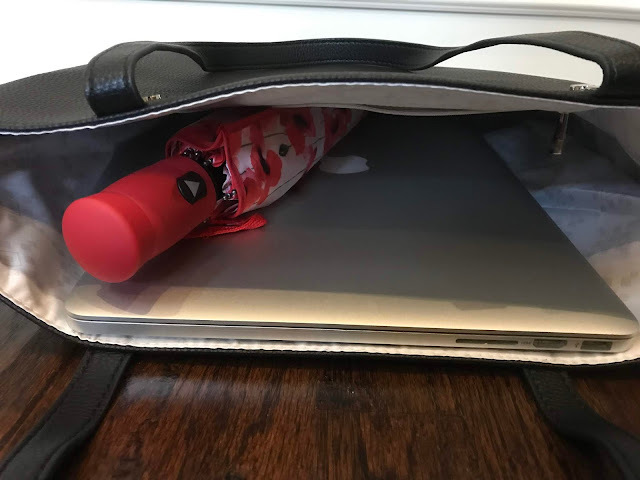 A good pouch with zipper is a lifesaver when it comes to organizing my purse. Thirty-One Gifts has one that I love - the Rubie Mini. They even have it in a pretty Rose Blush Pebble that is perfect for Valentine's Day! This trendy little pouch is a travel case and a wristlet all in one. It has a zipper closure and a D-ring attachment for their Wristlet Strap. It makes it easy to stay organized. I store my credit card, cash, lip gloss, and change in it. I carry it in my tote when I go to work or am out with my children. 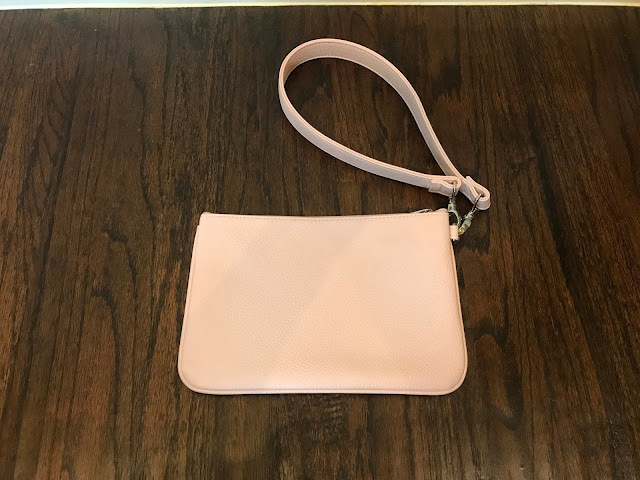 When I am out on my own (without my children), I remove the Rubie Mini from my tote and carry it using the Wristlet Strap. 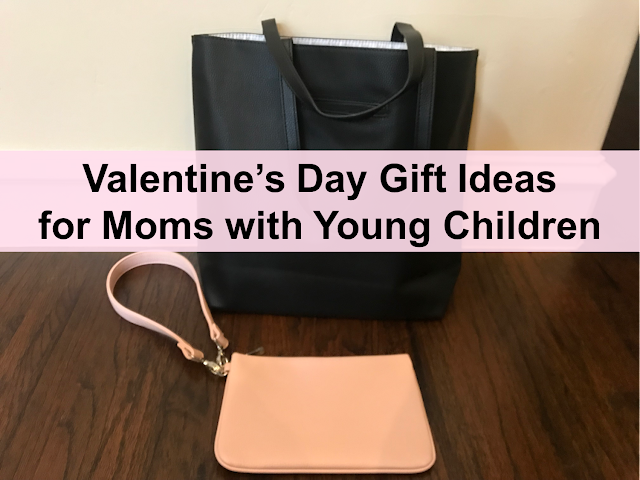 It's a functional and stylish gift for Valentine's Day! If you are spending Valentine's Day together as a family, a nice gift is to cook together. We are using Marley Spoon this year since they send recipes and the ingredients that you need to create a fabulous dinner together. You could also have your husband and children choose recipes and shop for supplies locally. Either way, let them plan dinner as a gift to you and then enjoy time cooking together! We hope that you have a Happy Valentine's Day with your family! It's amazing how your view of Valentine's Day changes with time, especially when you have children. We hope that these tips help you to enjoy the phase of Valentine's Day with young children! Thirty-One Gifts is a company with a big heart. They have a 15 year track record of empowering women. Many women have worked with Thirty-One Gifts to run their own successful businesses. I also know that Thirty-One Gifts has touched our communities in many other ways over the years, including donating products to women in need or to local school teachers in Dallas/Fort Worth. (There is no shortage of stories where they give back! Visit here for many inspiring stories.) Thirty-One Gifts is a company that stays true to it's mission, so I am always excited to have the opportunity to connect all you with them. Please learn more about Thirty-One Gifts here.